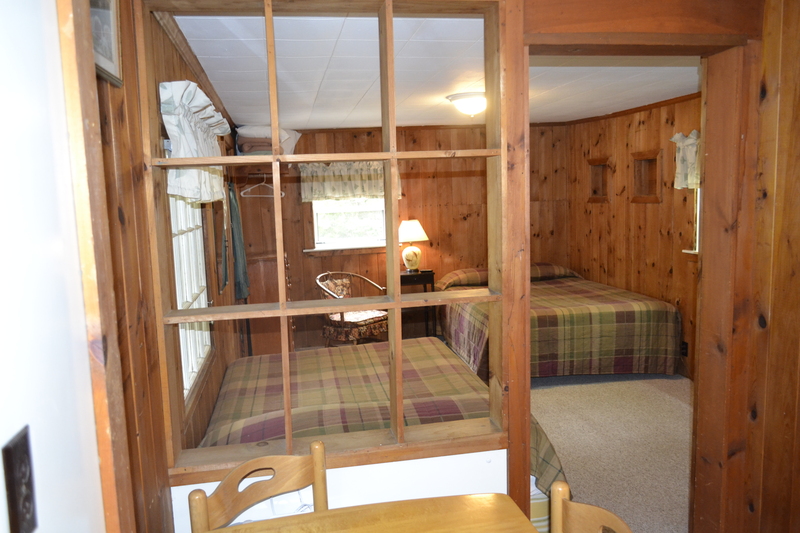 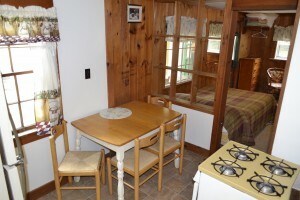 This cottage has a good size screened-in-porch with a table & chairs on porch also a rocking chair. 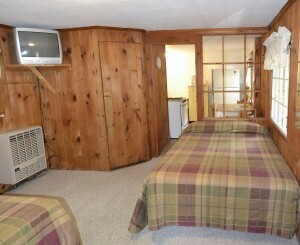 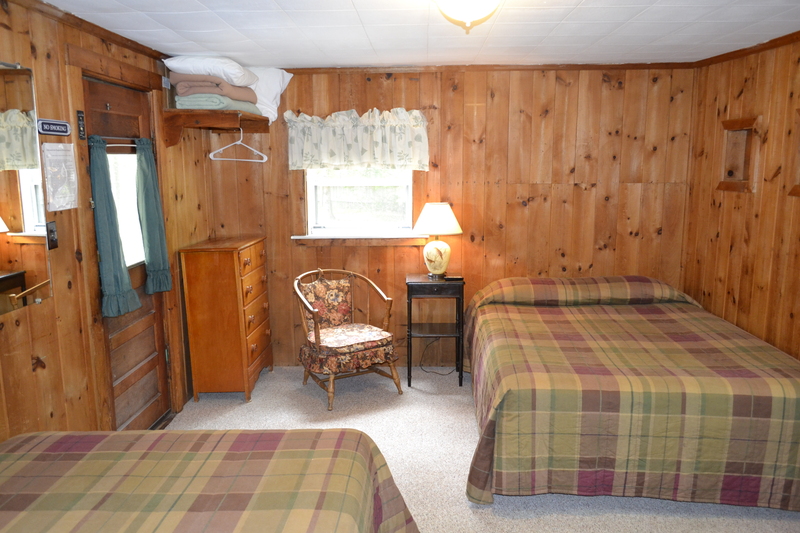 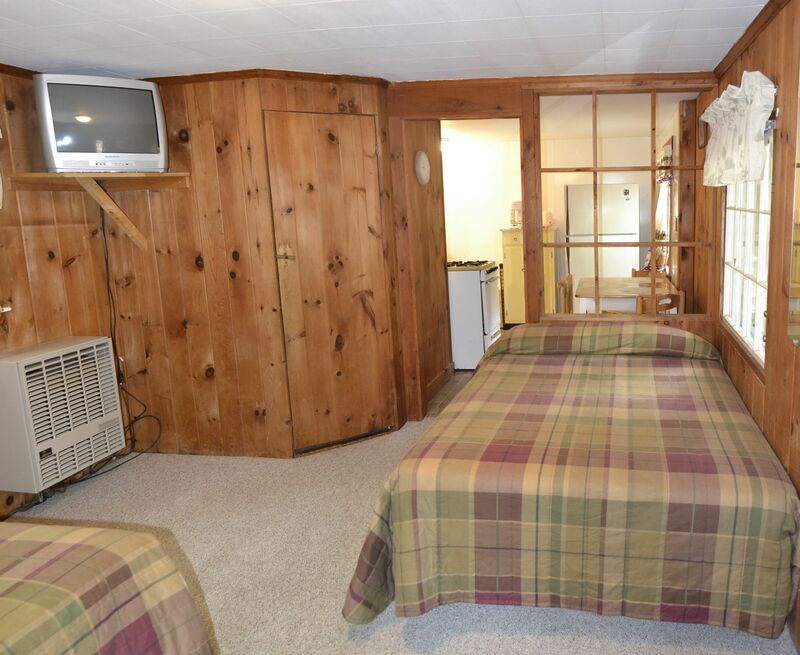 Then you walk into cottage and main room has 1 queen bed, 1 full size bed, a sitting chair, dresser, and color cable TV. 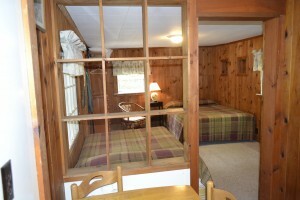 Then you bathroom with shower stall. 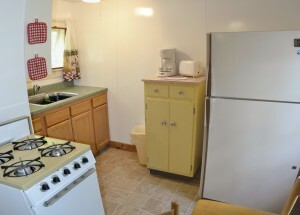 This cottage has a separate full kitchen. 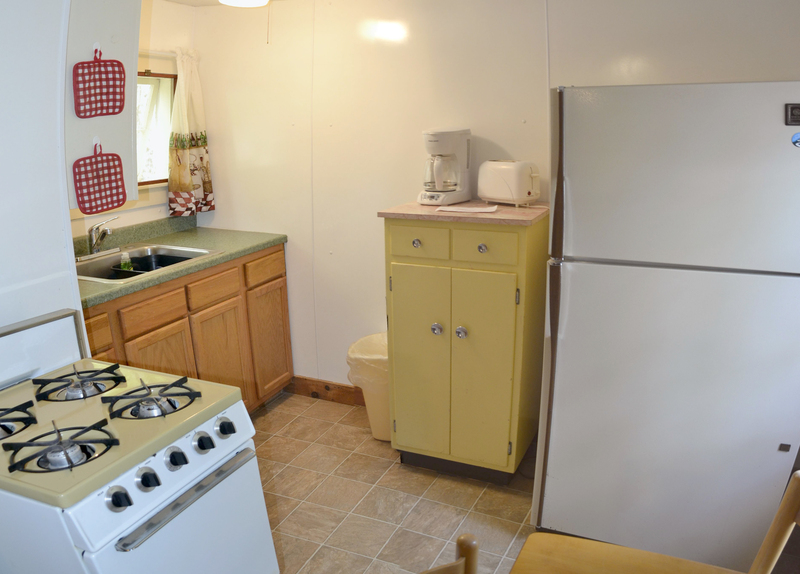 You have a big fridge, gas stove, and kitchen table. This cottage is the same price as C#1 & C#8 even though it is bigger, but does not sit right on our brook. 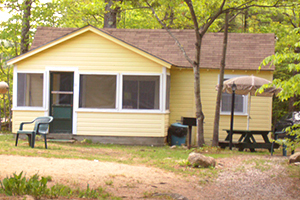 This cottage has it’s own camp fire pit, picnic table & park BBQ grille.